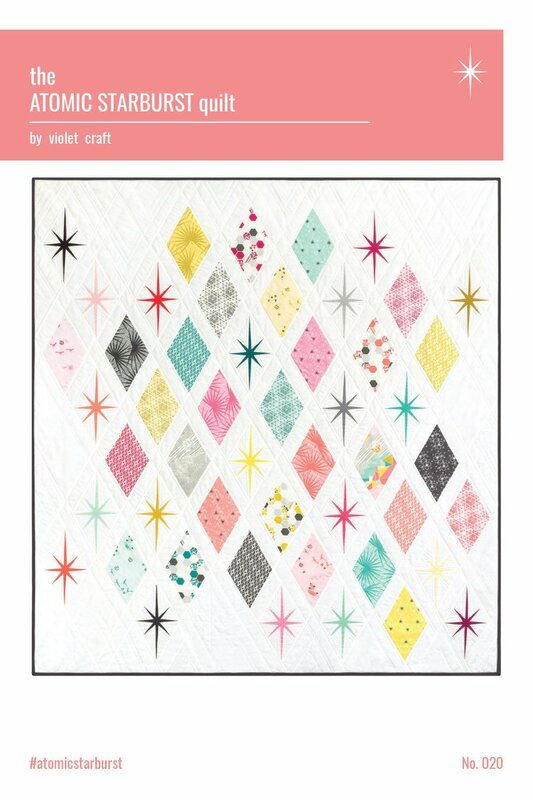 The Atomic Starburst Quilt is made by combining foundation paper pieced Starburst blocks with traditional piecing for a vibrant, mid-century modern quilt. Finished Quilt: 62" x 66"
Instructions assume a basic knowledge of foundation paper piecing. Tutorials and additional information can also be found on my website, www.violetcraft.com. Before beginning this pattern copy or trace the PATTERN TEMPLATES at 100% to retain your original templates. Templates must be printed on 8.5” x 11” paper on a dark enough setting to retain all details.